Show your love for the loafer with the adorable Born McGee. 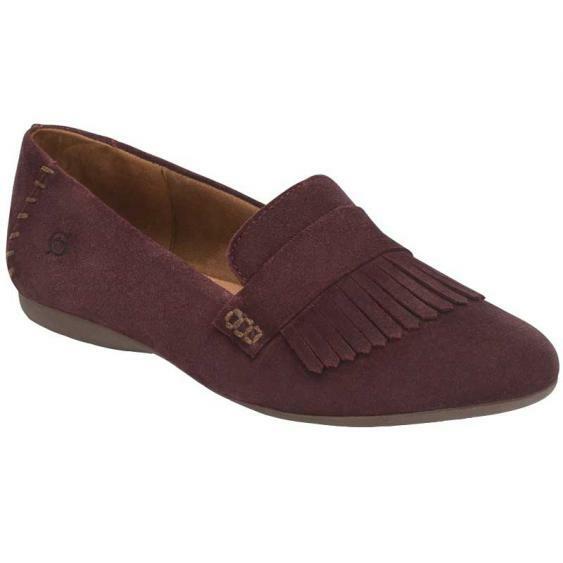 This women's slip-on features a supple, suede leather upper with kilty detail for a classic look. The microfiber lining and cushioned footbed create an inviting and moisture wicking interior, while the arch makes each step a breeze. Opanka hand-crafted construction ensures a durable bond. The lightweight rubber outsole helps absorb shock while allowing for flexibility and without weighing you down. Add some charming style to your wardrobe with the Born McGee.